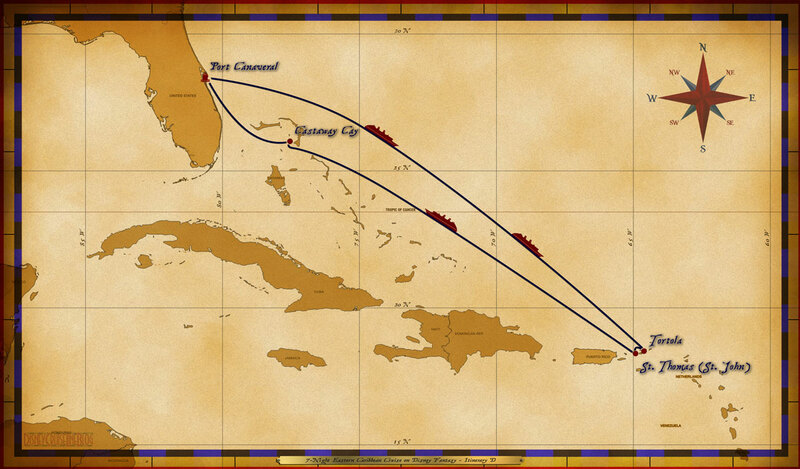 Personal Navigators, and other handouts from the 7-Night Eastern Caribbean Cruise from Port Canaveral. The Disney Fantasy set sail from Port Canaveral on January 12, 2019. There are additional Personal Navigators from other sailings of this same itinerary for comparison. During this cruise, the ship was under the control of Captain Thord Haugen. The Cruise Director during the sailing was Peter Hofer. Thank you Kevin Connelly for sharing. I noticed the Buccaneer Blast has been moved from 10:00 pm to 7:45. I wonder if this is only for the winter when the sun sets sooner. There are seasonal time changes.